Beautiful, unidentified yellow flower. 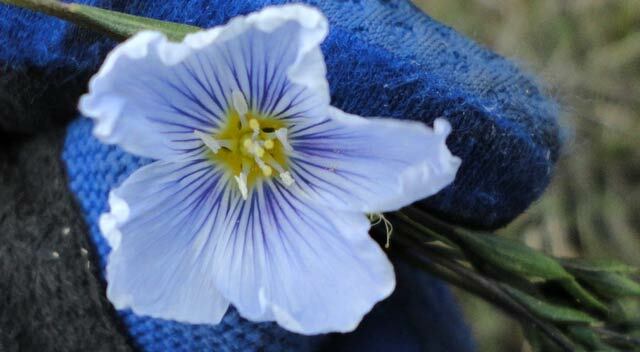 The flower is a bit like a trumpet, with a long stem and a flaring out at the end, turning a bit back on itself. 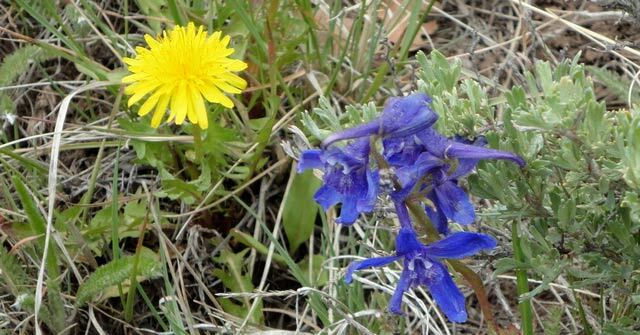 Wildflower bonanza! My wife and I joined many other friends at the Skalla Ranch outside of Placerville, Colorado. I motorcycled over 35 miles, not leaving the ranch–big place. And the wildflowers! I include 19 pictures in this post. Please help me identify them, as not very many are in my wildflower book. Words aren’t adequate, so here are the pictures. Please note that I didn’t pluck any of these—all were left in place, though for several I hold them with my gloved hand for size comparison. Have you ever seen a flower so small? That's one finger of my glove in the background. 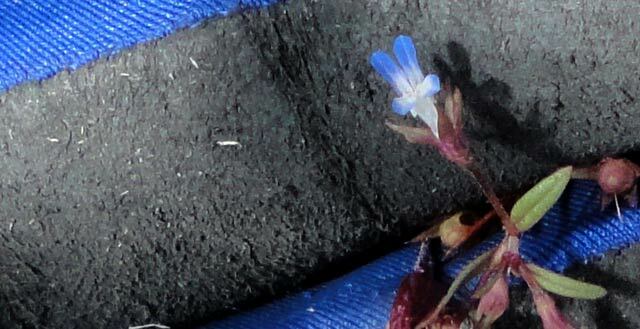 This flower is no more than 2mm across! And very hard to see--I stumbled over them. Lovely, strongly-colored blue flowers with complex structure. I'm holding this so you can look straight inside. Notice the delicate coloring and pattern. That's one finger of my glove. Yep, that's an iris--a gorgeous blue bloom with wonderful design. 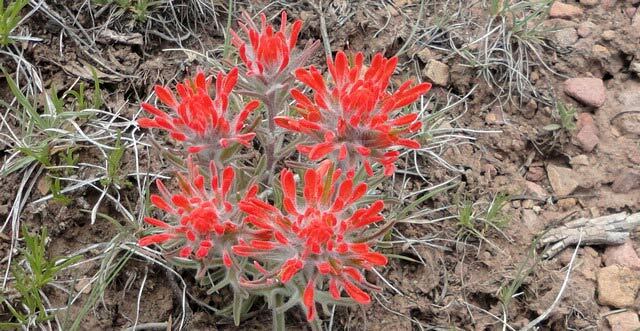 Orange paintbrush. With my new camera I can get enormous detail. 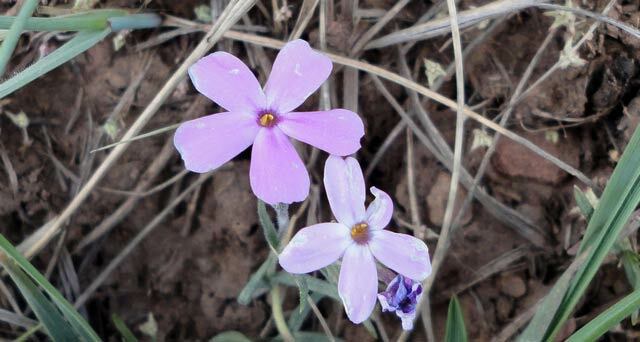 These flowers show up in both purple and white, usually with five petals but not always. The petals on this are somewhat purple. I've seen this type flower with more purple and also with more white. Now here's an odd one. These are like little buds. Perhaps they'll develop into something else. 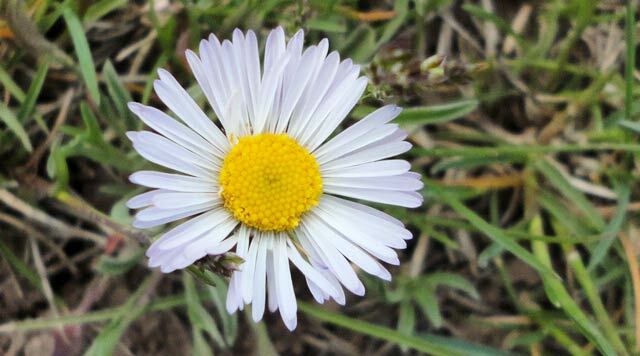 Tiny white flower. I'm holding it between two fingers of my gloved hand. And so that’s it—14 pictures—see next post for remaining 5. I ran them all through Photoshop Essentials to reduce the file size—hopefully this post didn’t take too long to load! 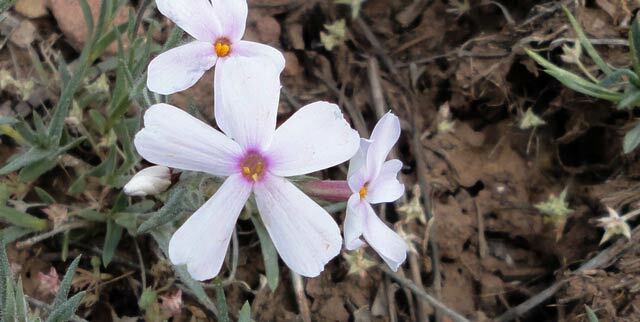 This entry was posted in San Miguel County, Wildflowers. Bookmark the permalink.